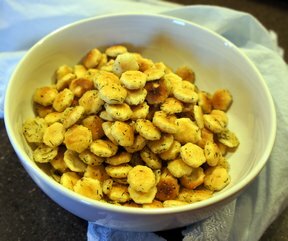 A snack that goes fast but can be stuck in the freezer to have on hand for unexpected guests. 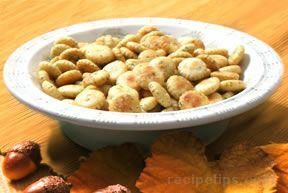 Flavored oyster crackers are always a hit, especially around the holidays. These ones don't even have to be baked! 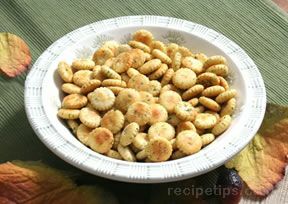 Mix oil, dressing mix, dill and garlic together. Stir every 10 minutes for 1 hour, until oil is absorbed. 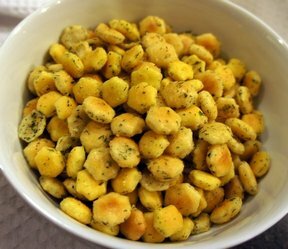 "I can't ever make these again because I can eat the whole bag all by myself in one sitting. Dangerous!"